They may have decided to go their separate ways after their 2010 ‘Sunsets’ concert series, but Powderfinger is a proud Brisbane band and one with a conscience, and they are therefore releasing a brand new, never before heard single to aid the Queensland flood relief. 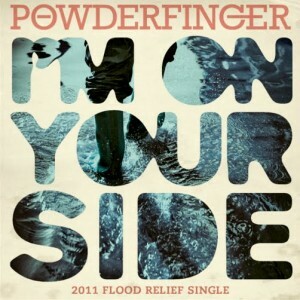 The new Powderfinger track is aptly called ‘I’m On Your Side’ and is being released today, with 100% of all profits (from the band, from their record label and publishers) going directly to the Queensland Premier’s flood relief appeal. Head to www.powderfinger.com or to GET MUSIC to get your copy today and help the cause.